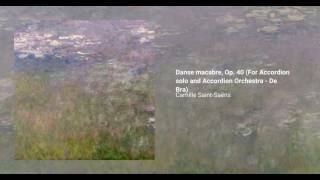 Danse Macabre, Op. 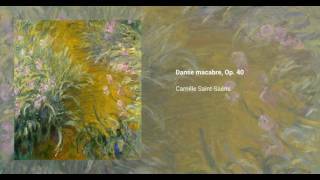 40, is a tone poem written by Camille Saint-Saëns from 1872 to 1874. Although it started as a song for voice and piano based on a text by Henri Cazalis, Saint-Saëns eventually expanded it into an orchestral tone poem, replacing the vocal line with a violin solo. The piece got mixed reviews, mainly because of the innovative resources Saint-Saëns included. After a while it was arranged for piano by Franz Liszt.